North Carolina State’s beloved Women’s Basketball Coach, and Hall of Famer, Kay Yow, lost her fight against breast cancer on January 24, 2009 at age 66. After missing four straight games this season, Yow announced on January 6, 2009 that she would not return to coach this season. According to the NCS’s website, her entire team visited with her in her hospital room earlier this week. Who else was this successful at this high a level while always being universally liked? Who else inspired only admiration and never ire in her foes? Even her fiercest adversary — Cancer, with the capital C — would have expressed boundless admiration, were it an entity that could speak. Kay Yow’s collegiate record is 737-344, with four of those years at Elon College. Her NC State record: 680-325. She is one of three women’s coaches at the Division I level to coach 1,000 games at one instutution. She took the the team to the Final Four in 1998 and 2002, and to Sweet 16 eleven times in her career. She is the fifth winningest active NCAA Division women’s basketball coach. North Carolina State University lost another basketball coach, Jim Valvano, to cancer in 1993. He recruited family and friends to lead The V Foundation for Cancer Research. Kay Yow was one of those friends. She has been an integral part of the Foundation. The Kay Yow/WBCA Cancer Fund™ is a 501 c(3) charitable organization committed to being a part of finding an answer in the fight against women’s cancers through raising money for scientific research, assisting the underserved and unifying people for a common cause. 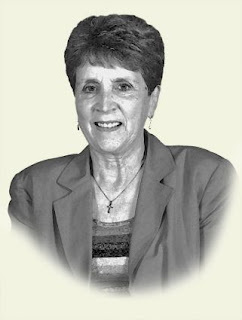 Inducted into the Naismith Memorial Basketball Hall of Fame in 2002, only the 5th womens coach to be selected. Cancer first showed up in 1987 and took part of Yow’s body. Then, in 1993, it took her mother, Lib, and her good friend, fellow NC State coach Jim Valvano. Cancer took new pals she met as she comforted fellow warriors with the disease, which returned to her in 2004 and again in 2007. Cancer took her appetite, her cherished high energy, her restful sleep, her mornings and afternoons on the golf course. It took away any thoughts of a quiet, relaxing time beyond basketball. Cancer took and took and took — yet there was always Kay Yow with something more to give to everyone around her. Sandra Kay Yow was born in Gibsonville, NC on March 14, 1942.